Nationally known real estate expert John Schaub learned his craft in the best way possible--on the job, and through every kind of market. Over three decades, he learned to bank consistent profits as he built an impressive real estate mini-empire. 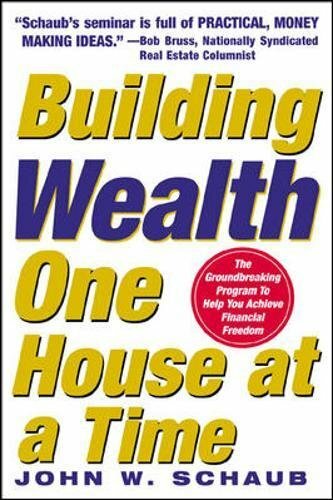 Building Wealth One House at a Time reveals how virtually anyone can accumulate one million dollars worth of houses debtfree and earn a steady cash flow for life. If you have any questions about this product by Schaub, John, contact us by completing and submitting the form below. If you are looking for a specif part number, please include it with your message. Buy & Rent Foreclosures: 3 Million Net Worth, 22,000 Net Per Month, In 7 Years...You can too!